I’ve made baked french fries. I’ve made baked zucchini chips. What do you get when you combine them together? 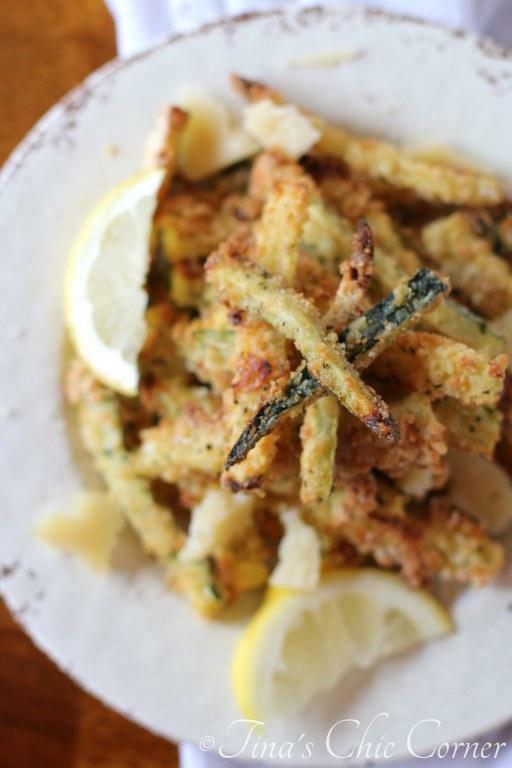 These amazing baked parmesan zucchini fries. Sure, you could enjoy these zucchini sticks as is or perhaps with some dip of some sort. 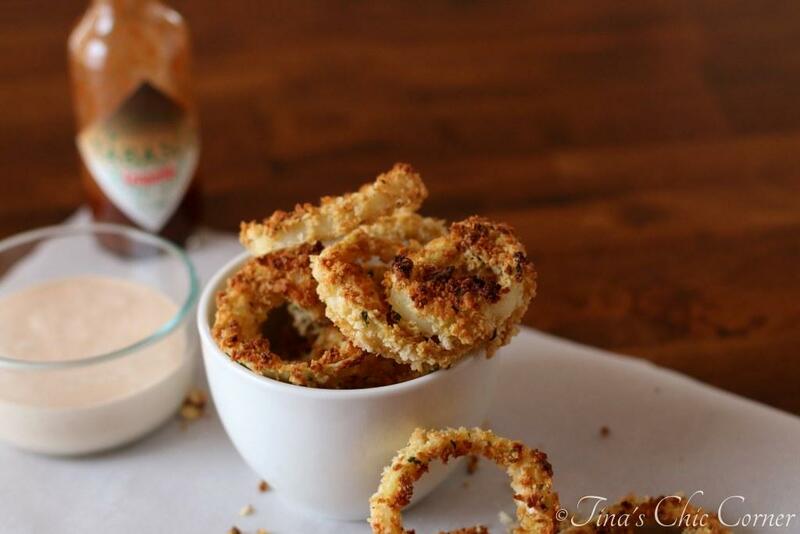 Why not dress them up with some panko crumbs? I’ve used panko to coat chicken, cauliflower, onions, and zucchini (in 2 different ways now) and I’m convinced everything tastes better if it’s covered in panko. Crunch-tacular! These are called “fries” because they resemble the shape of french fries… and that’s about it. 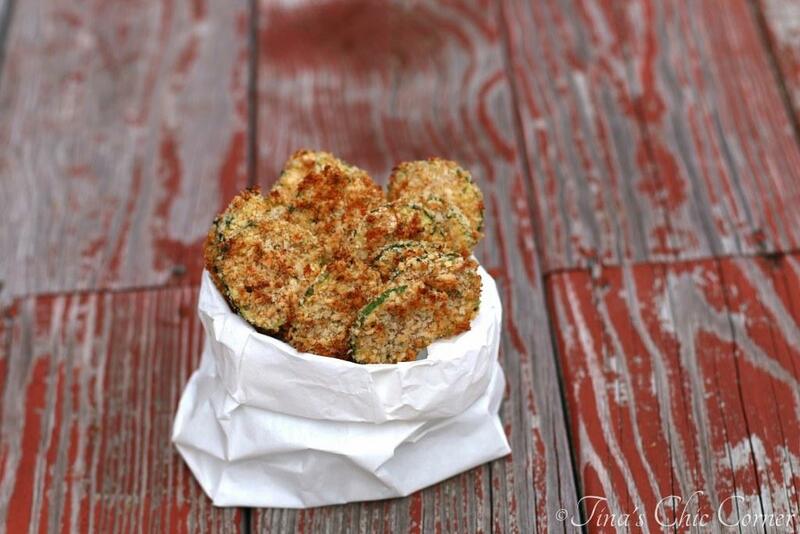 These zucchini fries are a healthier option to the fatty, greasy fried potato version. Don’t get me wrong, I still love french fries. However, when one is on a healthy food eating kick, then this snack is a great way to satisfy a comfort food craving. Obviously this makes for a great side dish, but it’s even better as an appetizer. Or you could eat this entire plate with a little extra Parmesan cheese and a squeeze of lemon for lunch. Yes, this was my lunch today and I don’t feel one ounce of guilt for it! Line a baking sheet with tin foil, parchment paper, or a silicon mat and set it aside. 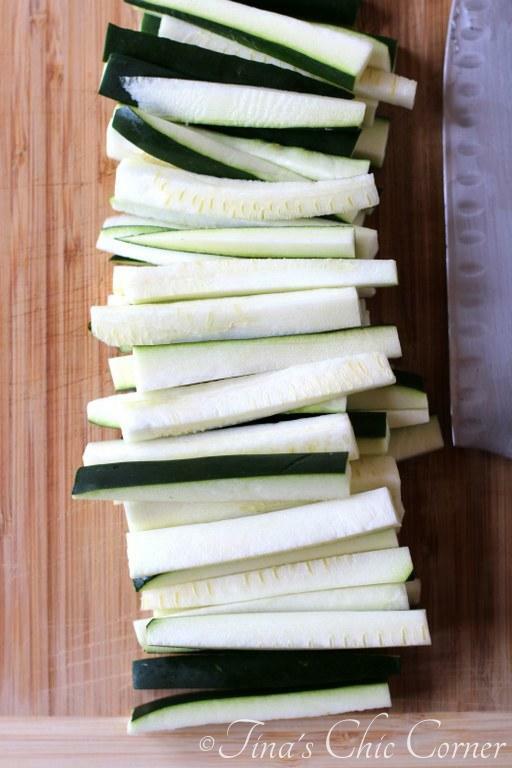 Cut the ends off the zucchini and julienne the rest of it into thin sticks. Build yourself an assembly line for preparing the fries. In bowl #1, add the flour. In bowl #2, whisk together the eggs. In bowl #3, whisk together the panko crumbs, grated Parmesan cheese, garlic powder, salt, and pepper. Use the assembly line to coat the fries in stuff. Cover each zucchini stick in the flour mixture (in bowl #1). Then dip each zucchini stick in the egg mixture (in bowl #2). Finally coat each zucchini stick in the panko crumbs (in bowl #3). Transfer the zucchini sticks to the prepared baking sheet. (Optional) Spray the zucchini sticks with cooking spray. Cook them for about 20 minutes or until they are browned (flip them over half way through the cooking time). Here are some other nifty side dishes. These look amazing!!!!! Maybe with this recipe, I’ll get my husband to eat zucchini. 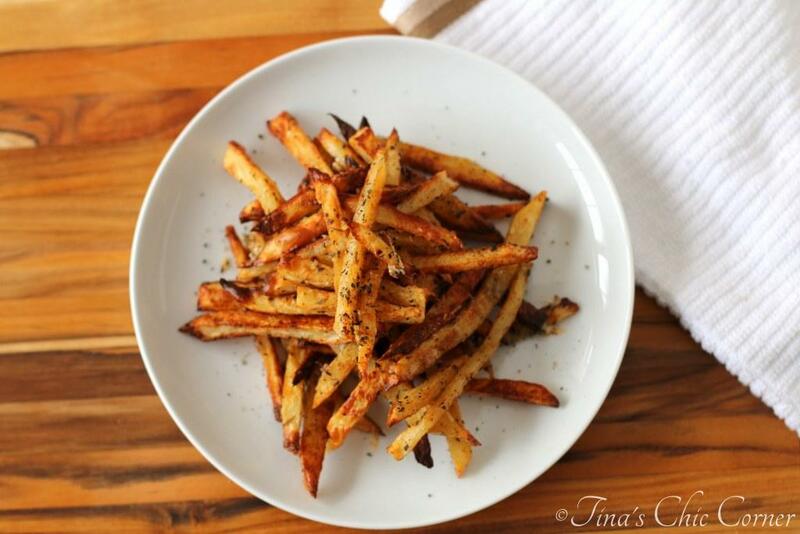 I’m a french fry addict so this is perfect for me – I need a healthier alternative once in a while! Oh my these look good. I bet there was not a crumb left. My boys, even though there is green stuff inside would love these. Sharing of course! I would never have bet that these were baked instead of fried! They look sensational and what a great idea to bake something other than potatoes. I’m sure they are just delicious. I LOVE zucchini fries!!! Why have I never added parm before?? This sounds so good! Hope you have a wonderful weekend!! Funny because I thought everyone knew about zucchini and parmesan cheese, except me! I just love these zucchini fries. They look amazing and would be perfect for any dish. I can’t wait to try my hand at making these. Great post. want to try these, debating on how much to make. Has anyone tried re-heating these? Emily, I have not tried re-heating them. I’ve enjoyed them hot right out of the oven and at room temperature. I imagine re-heating them might be similar to re-heating french fries… if you warm them up in a microwave they’ll be hot but limp… if you warm them up in an oven they might get their crunch factor back but you also might burn parts of them trying to do so (if that makes sense). If you end up trying to re-heat them, let me know how you make out.